Morris Wolfe Rannels, affectionately known as "Slim" among friends, was born in Rowenna, Pennsylvania, on April 13, 1915, to Oscar Von and Minnie (Wolfe). He attended Maytown High School near Lancaster, Pennsylvania, from which he graduated in 1933 as the Senior Class President. He graduated in 1938 from Millersville University, also referred to as Millersville PA State Teaching College, with a Bachelor of Science degree in Education. Rannels began teaching mathematics at Annapolis High School in 1938, but left the position in 1941 to enlist in the U.S. Navy. In 1942, he married Norma Jensen, and over the course of their 65 year marriage had six children, 22 grandchildren and 11 great-grandchildren. 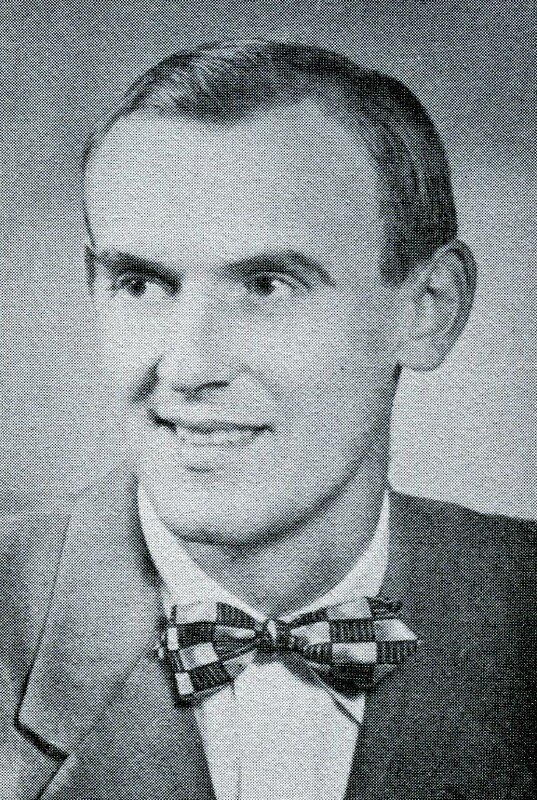 In 1946, Rannels returned to teaching mathematics at Annapolis High School. He received his Master's Degree in Education from the University of Maryland in 1948. It was also during this time that Rannels did advanced work at the University of Pittsburgh and Columbia University. Rannels took a position in Anne Arundel County as the Director of Transportation from 1948 to1950, then as the supervisor of planning and purchasing from 1950 to 1952. Rannels took the position as Superintendent of Cecil County Public Schools in 1952, where over the course of the next eight years he oversaw the construction of ten new schools. He left that position in 1960, moving to Ellicott City, and was appointed the Coordinator of Safety and Pupil Transportation of the Public Schools of Maryland where he remained until his retirement in 1978. Mr. Rannels relocated to Clearwater, Florida, where he spent his time with his family and friends. He passed away at 92 on September 25, 2007. The collection consists primarily of newspaper clippings and supplemented documents that chronicle Morris W. Rannels’ term as superintendent in Cecil County, Maryland, from 1952 to 1960. Among the supplements of materials are photographs of building dedications; programs of graduations and school dedications; surveys of obsolete school buildings; and an evaluation of the county’s financial needs. Only the newspaper clippings have been digitized and are available online; supplementary materials are available to visiting researchers to the Archives upon request. The newspaper clippings were obtained mainly from the Cecil Democrat and the Cecil Whig. The articles chiefly describe Cecil County’s financial needs to build new schools and renovate others and the issue of integration. Rannels also included a few personal items in the collection, such as invitations to graduations, programs from various conventions, and photographs. Rannels saved this collection for years and gave it to his close friend, Owen Crabb, in hopes that Crabb could preserve the collection and make it a useful resource. Crabb contacted Margaret Trader at McDaniel College, where arrangements were made to have the collection preserved and put in the College Archives. This file is password protected for copyright reasons. A password for access can be obtained by contacting the Archivist. See side panel for contact information.